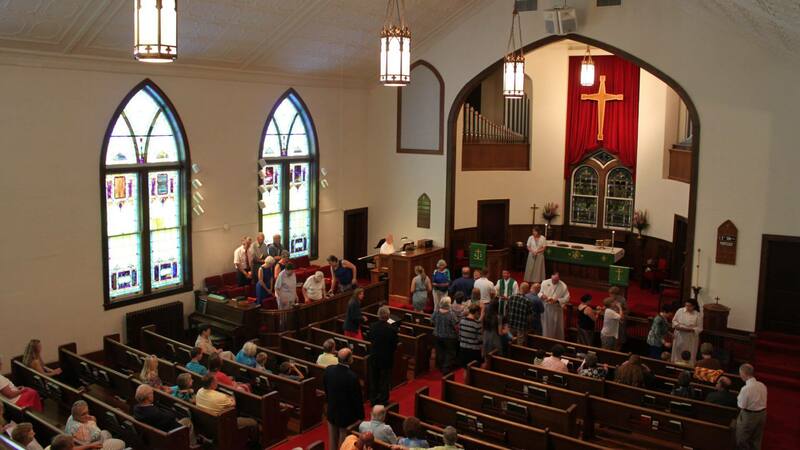 Welcome to Salem Evangelical Lutheran Church | Come receive grace; go share faith. Nestled in the Shenandoah valley, we are a church that shares a living, daring confidence in God’s grace. This faith comes through the good news of Jesus Christ and gives us the freedom and the courage to wonder, discover and boldly participate in what god is up to in the world. Welcome to a community of faith that is warm, inviting, and eager to follow where the holy spirit leads. We gather every Sunday morning at 9:45 AM for Sunday School and begin worship at 11:00 AM. Worship at Salem begins every Sunday morning with Sunday School at 9:45 AM. Worship service follows at 11:00 AM. Dress at Salem is casual, so come as you are to worship with us! Worship at Salem is liturgical, meaning that it follows a pattern that remains the same from week to week. We gather as the Body of Christ, we hear and respond to God’s Word, we share a meal in Holy Communion, and we are sent as disciples into the world. Worship also involves confession and forgiveness, communal prayer, and lots of singing. Anyone who desires to receive Christ through the healing power of his body and blood is welcome at the table to receive communion. Will my children be welcome in worship? YES! At Salem, we encourage our children to be full participants in worship. There is also a time set apart during worship where children are invited to imagine together how God is active in our world and in our lives. As children of God and followers of Jesus, each of us is a part of the body of Christ and individually members of it. For the sake of God’s mission and ministry, God’s people gather together to share their gifts and to work together to share in God’s mission to love and bless the world.